For each video, the velocity and the order parameter are analyzed in time and space to extract quantitative parameters characterizing the cell motility phenotype. The different conditions (videos) can then be classified according to these parameters. FlowJ is a collection of popular 2D optical flow algorithms, Lucas and Kanade, Uras, Fleet and Jepson, and Singh, in Java. 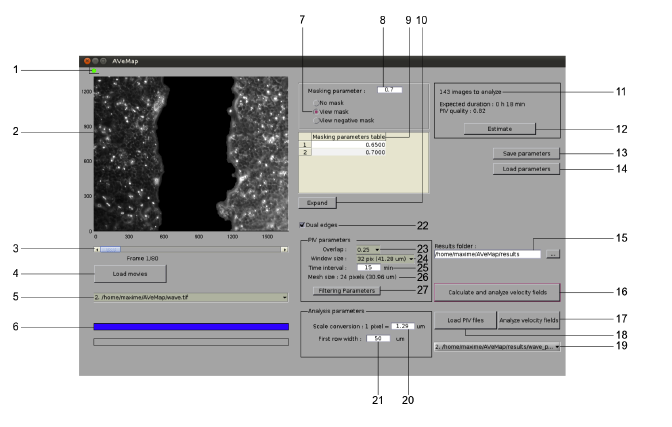 Bundled with Fiji, but can also be simply installed to ImageJ as well.